Prime Minister Jüri Ratas replied to the interpellation concerning the contribution to the European Union (No. 410), submitted by members of the Riigikogu Henn Põlluaas, Martin Helme, Mart Helme, Uno Kaskpeit, Jaak Madison, Raivo Põldaru and Arno Sild on 21 December 2017. The interpellators referred to the fact that Matti Maasikas, the special representative of Estonia to the European Union, had announced that Estonia agreed to increase its contributions to the European Union budget after Great Britain would have left the European Union. The interpellators wished to know if the Government had discussed that issue and if that was the Government’s position. Ratas said that the Government had discussed Estonia’s starting points for 2021 concerning the following European Union’s budgetary framework at a Government cabinet meeting and had adopted them on 8 June 2017. Thereafter, the Riigikogu and the European Union Affairs Committee had discussed them, and had supported the Government’s positions in accordance with the opinion of the Finance Committee on 3 July 2017. “Matti Maasikas, like several other Estonian officials, take the positions approved by the Government of the Republic and the state as a basis,” Ratas said. The Prime Minister explained that the Government had taken the priorities important to Estonia and the aim of achieving the best result as a basis when shaping its positions on the following European Union’s budgetary framework. He underlined that the European Union’s budgetary framework was agreed upon between the European Union Member States unanimously, and the consent of the European Parliament was also necessary to achieve an agreement. “The negotiations are at an initial stage, and final decisions will probably not be reached until next year or even the year after next year. In budget negotiations, nothing new has been agreed until everything has been agreed. 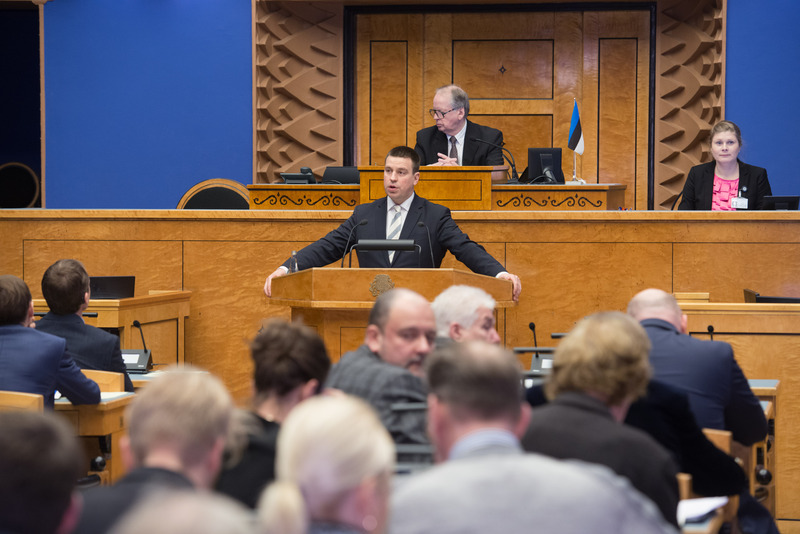 Our readiness to contribute more is indeed directly connected with the interests of Estonia and Estonian residents,” Ratas confirmed. The Prime Minister noted that if the budget volume did not decrease after the UK would have left, which was why Estonia and all countries had to increase their contributions, there was also a greater probability that the priorities important to Estonia would receive funding. “Estonia continues to consider it important to fund research and innovation. It is necessary to go along with digital changes and to adapt to them. The current modest funds towards internal and external security and tackling migration should definitely increase within the European Union in the future. With the support of the European Union, Estonia wishes to complete the Rail Baltic project and the synchronisation of the Baltic electricity systems with the European systems. We consider it important to further harmonise the direct payments to farmers in the single market,” Ratas said. He stated that the Cohesion Policy funds, that is, structural funds for Estonia would probably diminish because Estonia had become wealthier. “In purely monetary terms, with very great probability, Estonia will receive funds from the European Union budget in an amount that will be greater than our contribution also in the next budget period, and in the period after the next,” Ratas noted. The Prime Minister pointed out that, in the increase of the European Union funds, the underlying principle had been that supports and investments had to contribute to increasing Estonia’s competitiveness and had to serve primarily as a one-off development impulse. The same principles are followed in the planning of the new budget period of the European Union. “The sustainability of the funding of a state’s tasks is assessed in the budget strategy and budget process of the state, and the decrease in the European Union funds is taken into account,” the Prime Minister explained. 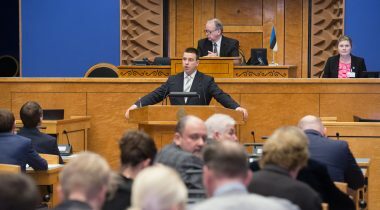 Ratas also replied to the interpellation concerning the commissioning of time for programmes from the TV channel “Pervõi Baltiiski Kanal” for taxpayers’ money (No. 409). The Minister of Justice Urmas Reinsalu replied to the interpellation concerning the hidden relationships between law offices and the prosecutor’s office (No. 406). The sitting ended at 6.28 p.m.